Graz is Austria's second largest city. She's been around since Roman times, flourished as a commercial centre in the 12th century, became the capital of Habsburg Austria in the 15th century and is now known of as a place of learning: Graz has six universities. Our pick of the best places to stay in Graz has something for everyone, from the hip and contemporary to the elegant and traditional. The lively student culture gives this city a relaxed, youthful exuberance - despite her age. There's lots to do in the evening, a wealth of restaurants, bars and cafes to choose from and there are several local breweries. Graz's age is one of the reasons to visit. As well as modern buildings, Graz has lovely old palaces and plenty of green space to explore. This city is a perfect size to stroll around. You'll never be short on things to see. The historic centre is probably the best place to stay in Graz. Easily explored on foot, most of the highlights are within the boundaries of the old town. Despite being under Nazi rule and being surrendered to Soviet troops, Graz escaped major damage during WW2 and the beautiful architecture has helped the old town win a place on the World Heritage list. Another interesting Graz fact is that Arnold Schwarzenegger was born here! 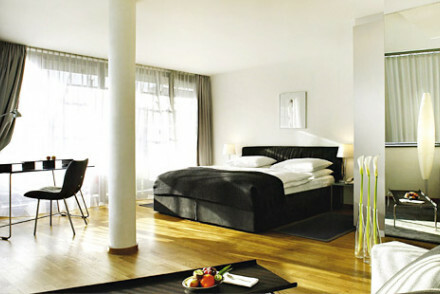 If you're on a tight budget you'll find that many of the best places to stay in Graz are out from the centre of town. There are plenty of youth hostels around Hauptbanhoff and Rosselmuhlgasse. If you're looking for something simple, clean and reliable, plenty of the best places to stay in Graz can be found around the main station. Schlossberg, the castle on the hill, around which Graz sprang up, is a good place to start exploring. Catch the funicular if your knees aren't up to the climb. From the top, you'll be rewarded by a wonderful view of pretty red roofs. Next up, see the Cathedral of Graz and marvel at the ornate interiors before heading to the impressive domed-roofed Mausoleum of Emperor Ferdinand II, located right next door. Schloss Eggenberg is an early Baroque charmer which is also worth visiting for its murals and inlaid wood floors. And if you're interested in arms and armour you may want to visit the Armory Zeghaus, which has a really amazing collection. With so many wonderful sight this is a popular destination so to be sure of staying in one of the best places to stay in Graz do plan and book ahead early. 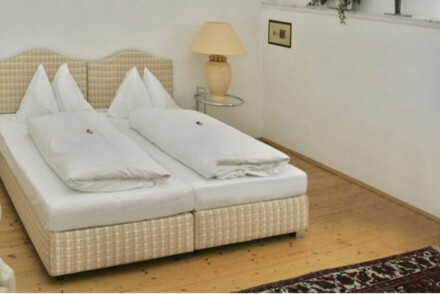 Hotel Daniel, sister property to the Daniel in Vienna, boasts all white minimalist rooms, but at a very reasonable rate. Rooms start from only €62 per night. 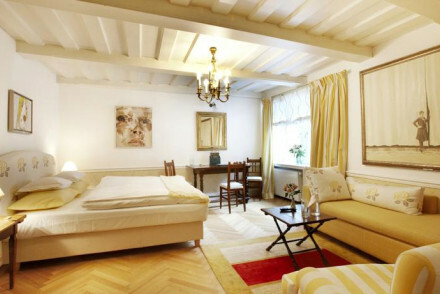 Augarten Hotel Art & Design offer spacious light filled rooms, also at very reasonable prices. Check out the roof terrace for stunning city views. Hotel Wiesler is situated bang in the centre of town and can certainly claim to be one of the best places to stay in Graz purely by taking a look at its guest book....names range from the Rolling Stones to Schwarzenegger! The elegant and sophisticated Schlossberg Hotel benefits from sprawling terraced gardens despite its city centre location. It's a good option for families with a wide range of accommodation including suites and apartments. Set in a traditional building, Hotel Zum Dom offers contemporary rooms, suites and XL suites which are perfect for group trips (with two bedrooms, large lounges and private balconies.) And, what's more, you're right in the heart of town! Graz is nicest weather-wise in the summer, with the average temperature rising to 20°C in July. This however is peak season, so for a quieter (but still warm) alternative consider coming in May or September. Visitors can fly into Graz Airport, located 9km south, before taking the bus or the train to the city centre. There are unfortunately no direct flights from the UK, so you'll need to head to Vienna Airport before taking a connecting flight. Browse through our list of all the best places to stay in Graz. Widen the net to search through our recommendations in Vienna or Salzburg. A cool contemporary hotel built for the 'modern traveller'. Great value rooms all in white, excellent breakfast area and bar, good meeting rooms, and a sauna. A youthful spot with a trendy vibe. Contemporary design hotel with spacious light filled rooms. Excellent Mediterranean restaurant, stunning views over the city from the roof top terrace, great spa and business centre. Chic, and great value. Views - Stunning views over the city from the roof top terrace. A traditional house with lovely rooms, suites, and XL suites. Elegant contemporary rooms with splashes of modern art. Largest suites have private balconies, private terraces, and two bedrooms. An ideal spot for families, groups, or couples on romantic breaks. Groups - The larges suites sleep 4. Private Hot Tub - Book one of the large suites for your private roof terrace with outdoor hot tub. 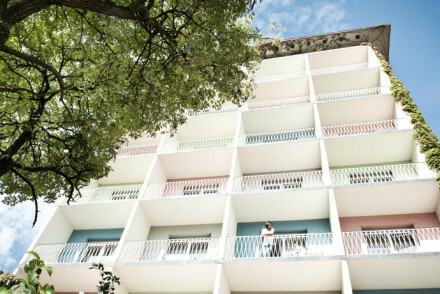 A traditional hotel with a history of star guests, from Schwarzenegger to the Rolling Stones. It binds contemporary, quirky, vintage, and retro into luxury rooms, each different to the next. Fantastic spa, good restaurant, and great value. Super cool. Gorgeous traditional house with equally elegant interiors. Selection of rooms, suites and self-catering apartments, all with parquet floors, antique furniture, and lots of natural light. Lovely terraces, garden and swimming pool. A romantic choice for couples, families and groups. Sights nearby - All major sights are easily reachable on foot.